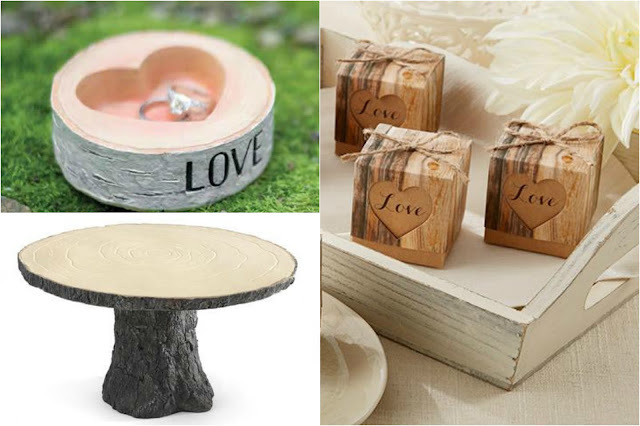 The wood isn't the only part of the tree you can use to decorate a rustic wedding. The enchanting things that grow on and around tress offer their own brand of beauty. 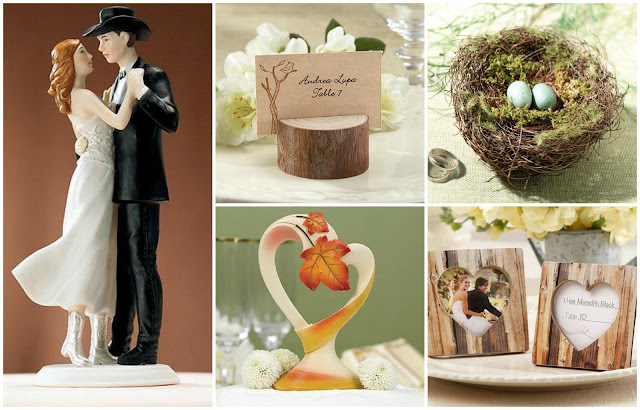 As we mentioned earlier, with fall coming soon, the leaves will be changing into a rainbow of colors that look lovely matched with a rustic wedding theme. The reds, yellows, oranges, and browns fit perfectly. Not only are they a gorgeous decoration, but they're a clever alternative for something for your flower girl to sprinkle down the aisle instead of flower petals. Of course, there's nothing wrong with traditional flower petals to announce the bride's entrance, and the myriad of colors that they come in offers you so many impressive choices. Wildflowers like you would find growing on the side of a country road are a simple yet magnificent substitute for the flowers you usually see at a wedding. They have a much more relaxed and casual feel to them. 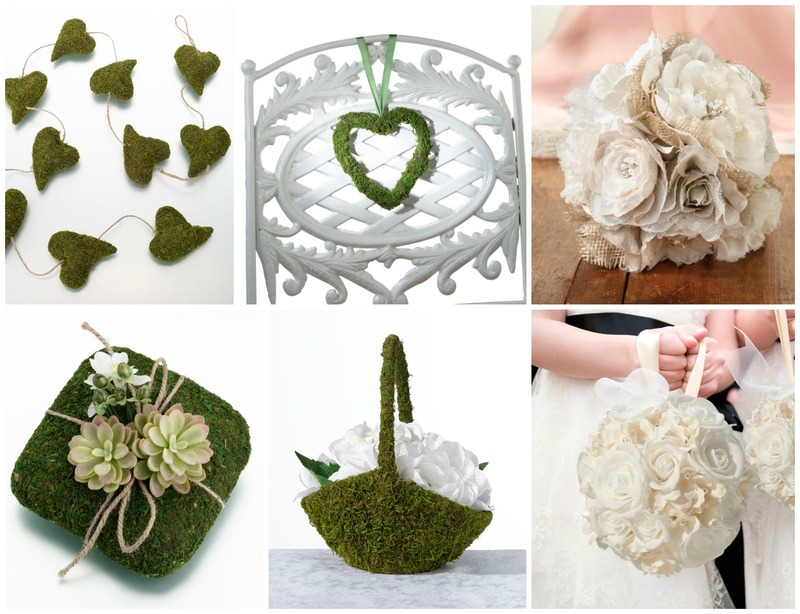 Last but not least, moss may not be the first thing that springs to mind when you think about adding natural elements to your wedding decor, but the deep green color of moss can be breathtaking, and it fits in well with the other natural elements we have been talking about. We can't quite put a finger on it, but there's something a little dreamy and romantic about moss, especially they way we've used it for many of our online wedding accessories. Something else, besides flowers, that's come in many colors are butterflies. 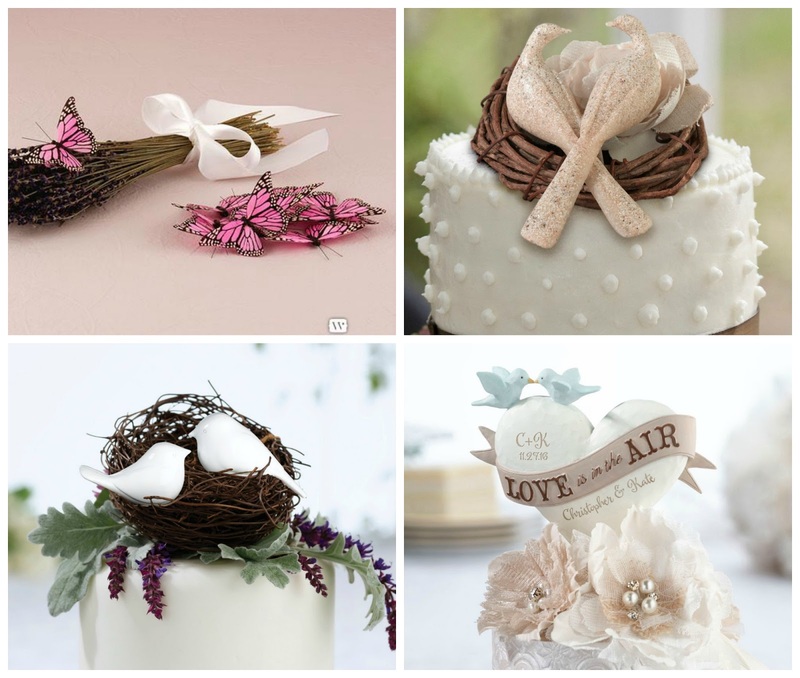 These might come to mind more for a spring or summer wedding, when the lovely creatures airily floating all around. Another winged creature that is right at home celebrating at a wedding is a certain type of bird - a love bird! This is a simple idea that can be incorporated into many different elements of your wedding decor, and it sends a very romantic message. That's just the tip of the iceberg. 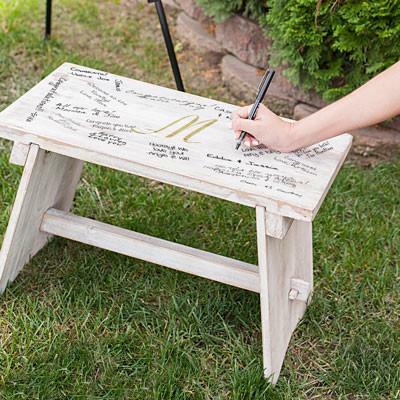 Do some of your wedding planning sitting outside and just looking at the beautiful things around you. Nature is marvelous inspiration. If something catches your eye, you can probably find a way to incorporate that into your wedding decorations. You don't even have to throw a rustic wedding to use nature for your theme. Once you're done using nature to inspire you, head on over to WhereBridesGo.com and browse the magnificent wedding decorations that we have to offer. You can always find extra inspiration there!